Once you’ve chosen the processor that’s right for your new build, you need to pick a motherboard that’s appropriate for your requirements. A huge variety of motherboards exist, with the inventories of a single manufacturer spanning hundreds of different coexisting products. To make your choice easier, it’s important to choose the chipset you want to support your chosen socket type. 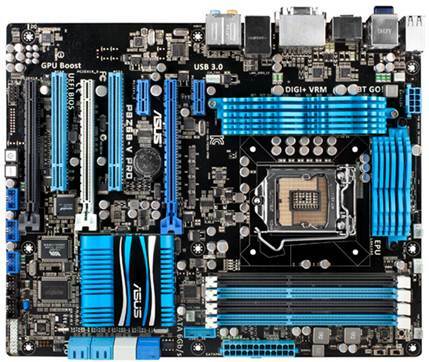 While different motherboards ship with all manner of different features on board, several of these are defined by the chipset. For the AMD FM1 socket, for instance, there are just two chipset: A55 and A75. The former is the cheaper of the two and has 3Gbps SATA ports and support for 14 USB 2.0 ports. The A75, on the other hand, comes with all 6Gbps SATA ports and supports ten USB 2.0 and four USB 3.0 ports natively. Naturally, if budget allows, the A75 solutions are a stronger choice, but you should choose a board that has the features you need at a price you can afford. Often by going for a value-centric brand like ASRock rather a premium brand like Asus or Gigabyte, you can get a premium grade chipset for the same price as a cut-down version. For Socket 1155, things get a lot more complicated, as Intel has a plethora of different offerings. Some of these are specific to large corporations, however, so that leaves us with four relevant chipsets for home users. At the entry level, we have the H61 chipset. This offering has no support for 6Gbps devices or RAID and lacks the wealth of PCI-Express resources of its more expensive stablemates. The next chipset up is the H67, which supports two 6Gbps drives natively and also allows for more USB devices and GPU overclocking. Next up we have the P67, which differs from its H series compatriots in that it allows CPU overclocking, but has no support for the integrated GPU. With the Z68 chipset, Intel finally let its customers have their cake and eat it, with all of the features of H67 and P67 wrapped up into a single chipset that also adds two additional features: Intel Smart Response Technology (SSD caching) and Quicksync, which allows you to tap into the capabilities of the on-chip GPU and use them for video transcoding even if you’re using a dedicated video card as your primary VGA solution. If you simply must have an AMD FX processor for its multi-threaded prowess, then you should opt for a motherboard with the 990FX chipset, assuming you don’t need an integrated GPU. If you do, then you have the 880G chipset, which features a Radeon HD4250 GPU. Truth be told, however, if you can afford to spend over $225 on your CPU, you can probably budget for a $45 discrete video card as well. Once you’ve selected the right chipset for your build, you will normally still find at least half a dozen different options from each manufacturer to choose from, if not more. These will differ in several key ways. First of all, you’ll have different form factors: mini-ITX, micro-ATX and ATX. The first of these is the smallest and is designed for micro-tower PC systems. Micro-ATX is considerably larger and will be the right choice if you plan on building a compact yet fully featured desktop PC. Finally, ATX is the largest form factor that will support the widest array of add-in cards, but will need at least a midi-tower case to accommodate the additional height. On choosing the right size of board, you should finally have whittled down the number of options to a handful from each manufacturer. Typically, these will now differ in the various additional bells and whistles they support. 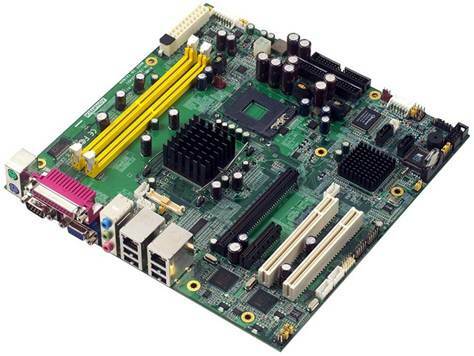 More expensive and elaborate boards will often have extra connectivity such as eSATA and FireWire, as well as support for additional internal drives via secondary SATA controllers. Higher-end options may also offer SLI and CrossFire support, granting the ability to use more than one video card at a time. Higher-end boards will usually have better voltage regulation circuitry, so if overclocking is high on your list of priorities, it’s sometimes worth paying extra for a board with features you don’t necessarily need just to gain the superior overclocking support they offer. 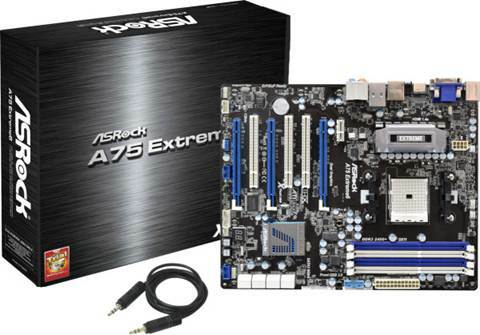 Most manufacturers offer extremely expensive special edition motherboards. From Asus have the Republic of Gamers series, from MSI you have the Bing Bang Xpower boards and from Gigabyte the Assassin series. Unless you plan on cooling your system with liquid nitrogen and want to use them to set some new overclocking records, these boars typically offer diminishing returns for your investment – for feature rich boards that don’t cost the earth, check out ASRock’s Extreme series products. Bundle Up To Save Some Cash!